To contribute to the Dragon1 glossary, send your email to specs@dragon1.com. Your contribution will be reviewed and evaluated first. Once it is approved and moderated, it is posted here. Contributions can be: a new or updated term, a translation for a term in one of the listed languages, definitions or icons for a term. You can send in four different icons in four different styles per term: sketch, wire frame, flat 2d (f.i. material design), 3d. You can provide more than one definition per term, for instance for different contexts. We do not send notifications or provide any comments on how, when and why contributions did not make it to publication. 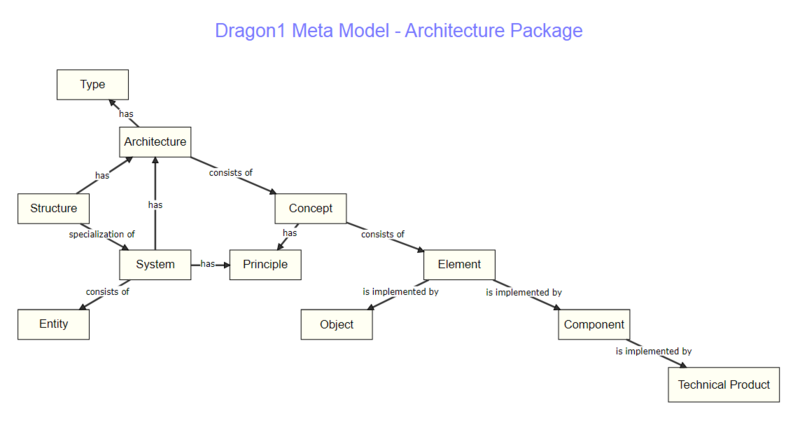 Dragon1 is an open Enterprise Architecture method governed by the Dragon1 Foundation. If you want to contribute with a new or improved term, definition, translation or icon to the Dragon1 Glossary Of Terms, you only have to send your contribution, including arguments and/or discussion with others to specs@dragon1.com. Every contribution will be evaluated. The terms, definitions and icons that are provided to us will be checked for copyright violations. If this is not the case these will be evaluated. As Dragon1 is an open method, all the terms, definitions and icons need to be free from copyright, else it would make Dragon1 not open. You need to provide your icon in svg format compliant to the Dragon1 icon standard. On the resources part of Dragon1 every term has its own page detailing and explaining the term and positioning the term in the Dragon1 meta model. Every term is related to other terms. A set of related terms as part of the meta model is called a package. On every term page, a link to the related meta model package is made. On a monthly basis, the Dragon1 Foundation reviews contributions made to the Glossary of Terms. A group of experienced architects and designers will evaluate the contributions and checks if the contribution will improve the meta model. If the contribution is approved as addition or update, it will published here on the resources part of the site. All icons part of the Dragon1 glossary have The Public Domain Mark. This means that the icons are free of copyright around the world. For a creator to release his/her works into the public domain legally, he/she must use the creative commons CC0 license which gives creators a way to waive all their copyright and related rights in their works to the fullest extent allowed by law. All the icons that are part of the Dragon1 Glossary are meant to be public domain. If you send us an icon or use an icon, you are still responsible for checking the copyright status of icons before you submit them to Dragon1 or use them in your own work. If your contributed icon or update for a definition get published, you will be rewarded with your name and website link. We invite everyone to complete and improve the design of the Dragon1 Glossary Icons. Do not use letters or numbers in the icon. Do not use abusive attributes in the icon. Make sure that in the following countries no offense is taken for the icon or infringes copyrights: Japan, China, Russia, India, France, Netherlands, England, Germany, USA, Indonesia, Spain, Portugal, Brazil. This will ensures that in most countries the icon will not be offensive. Add your name as author and website link in the file as a comment. Add a creation date and version number in the file as a comment.